To cater to contributors who identify with specific causes and given the significant funds needed for major building projects, the archdiocese and the Catholic Foundation have set up restricted funds for specific purposes under the umbrella of the GIFT campaign. These include funds for building projects (Bethany East, St Francis Xavier Seminary Building and Archdiocesan Hub), for clergy welfare and retirement, and sinking funds for buildings and lease renewal. Contributions towards these funds are generally solicited and directly received from members of the Catholic community. From time to time, the Catholic Foundation will call for contributions to specified restricted funds, including holding specific fundraising events. The Bethany East Fund was set up to enable individuals to contribute specifically to the renovation of Bethany East, a residence for ageing priests in Singapore. There are currently over 150 priests in the Archdiocese of Singapore, of which nearly a third have been priests for more than 30 years. The number of retired priests is expected to rise. 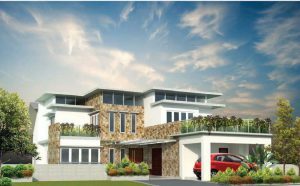 The residence is a 7,000 sq ft, two-storey detached house with an attic. It has been optimally designed to be elderly friendly. It will feature a lift for easier access, a prayer room and en-suite bathrooms for each bedroom. It can accommodate up to eight retired priests and is located along Changi Road, a short walk from the Church of Our Lady of Perpetual Succour. Hence, the residents of the home can continue to play an active role in the community. The construction of Bethany East was completed in July 2018 at an estimated cost of $2.6 million. The SFX Seminary Building Fund was set up to facilitate benefactors’ intent to contribute specifically to the construction of the SFX Seminary Building. After almost 30 years of usage, facilities at the Punggol premises of the St Francis Xavier Major Seminary were in need of upgrading. Coupled with the limited lease of the land, a decision was made to look for a new and more permanent home for the seminary. 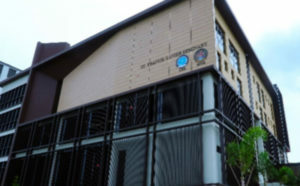 Hence, the SFX Seminary Building was built on freehold land within the compound of St Joseph’s Church (Bukit Timah), and features a multi-purpose hall, a library, a chapel and ten classrooms. It is the new home for the seminarians and formators of the Major Seminary. The building will also house the Catholic Theological Institute of Singapore (CTIS) whose training facilities will cater to the formation of the laity. It was completed in June 2018 at an estimated cost of over $19 million. In the archdiocese’s long-term plan to address the needs of the many archdiocesan organisations in land-scarce Singapore, it has set aside freehold land at 49 Upper Thomson Road for the development of an Archdiocesan Hub. As many of the archdiocesan organisations expand and cater to an increasing number of people with various programmes and outreach activities, their current offices and premises are becoming inadequate. There is a need for some of the organisations to be relocated and co-located in a larger space, equipped to accommodate their numerous needs. Co-location will also facilitate shared services and shared facilities, thus optimising space requirements. The Hub will help organisations such as OYP, CSC and ONE to strengthen their operations with the necessary space and facilities for offices, retreats, talks, workshops and many other activities. The Archdiocesan Hub will eventually consist of a retreat and convention centre with multi-purpose hall and meeting rooms, counselling rooms, adoration chapel, shared offices and facilities for archdiocesan organisations, a residence for retired priests, and more. It will serve as a one-stop centre for the discovery and deepening of faith, where Catholics and those interested in learning about the faith can learn, discover, and grow. Planning for the Archdiocesan Hub is currently underway and the Catholic Foundation has provided an initial grant of $100,000 to help kickstart the project. The first phase of construction, which can cost about $70 million, is expected to commence only in 2019. The Clergy Welfare and Retirement Fund was established to ensure that sufficient funds are set aside for the expected expenses of caring for the well-being of elderly priests. Providing for the needs of priests, who have given their lives to serve, is necessary due to rising medical costs, coupled with greater life expectancy and advancements in medical care. The projected needs will continue to increase significantly over the years. Adequate funds are needed to ensure that the Church is able to provide them with a dignified and comfortable retirement. The Fund was suggested and seeded by a contributor who came across a specific situation of a priest in need. Although the specific priest was taken care of, it was agreed that such a fund would be helpful for the future. Since then, other individuals have contributed to the Fund. The monies received in this Fund will help to cover the living expenses, medical and other welfare needs of the clergy.